For over two decades, Lambert Advisory has dedicated itself to helping communities thrive. Founded in 1995, Lambert Advisory is an internationally recognized real estate and economic advisory firm. Established on a foundation of knowledge, data, and experience, Lambert works collaboratively with clients and partners to transform places and build stronger communities. We are passionate about the work we do and are vested in positively impacting people’s lives and contributing to the communities in which we work through data guided strategies. We are considerate and aware of client and community needs and are steadfast in our dedication to each individual project and its outcomes. Our history of proven success and long-lasting relationships with clients and colleagues has yielded the trust and loyalty of these partnerships. Most importantly, Lambert Advisory’s work has always been built on a foundation of deep research. Our research, and pragmatic approach to applying that research, affords us the ability to offer clients educated and objective guidance based on the most robust information available. Whether we're working at home or abroad, we approach all we do with objectivity, diligence, and care. Paul Lambert founded Lambert Advisory in 1995 and is engaged by clients to provide expert market, financial, and strategic guidance associated with real estate and economic development efforts. Paul's clients have included Samsung Corporation, The Queen Emma Foundation, University of Pennsylvania, Harvard University, Port Miami, as well as the cities of New York, New Orleans and Tampa. He has served as advisor to sovereign wealth funds and some of the nation’s largest charitable trusts. Between 2005 and 2007, Paul managed the post-Hurricane Katrina neighborhood rebuilding planning process (‘Lambert Plans’) on behalf of the City of New Orleans. Currently, Paul is heading the development of Miami Wilds, a theme park and associated entertainment development with an estimated $1.0 billion investment requirement adjacent to ZooMiami. 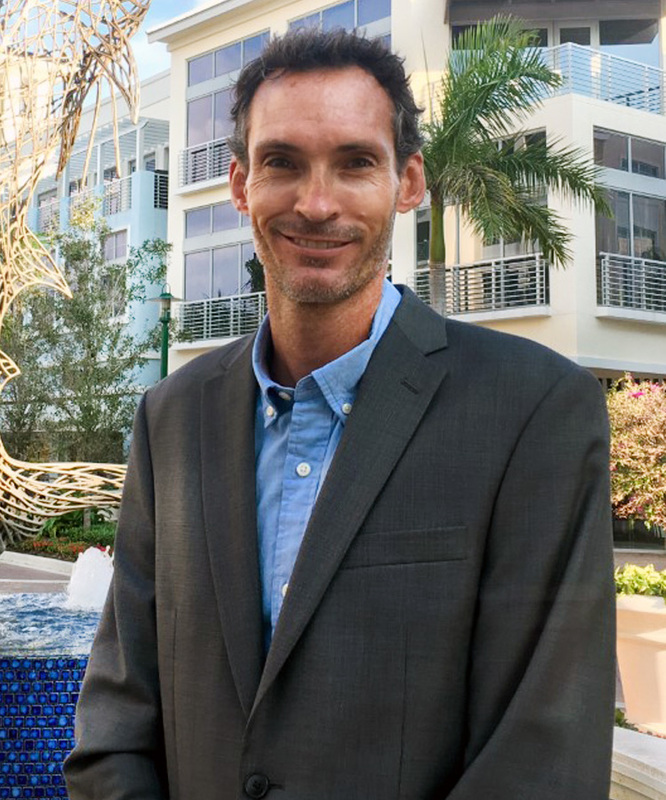 Prior to starting Lambert Advisory, Paul was with Arthur Andersen LLP and Goodkin Research Corporation where he oversaw the firm's South Florida and Latin America real estate economics practice. Paul holds a BA from Miami University in Ohio. As an undergraduate he was a Beaver Fellow at the London School of Economics and graduated from the Massachusetts Institute of Technology with a Master Degree in City Planning. Eric Liff brings 25 years of experience providing economic and financial advisory services to both the private and public sectors. He has worked with numerous national and international corporations providing economic, strategic and investment guidance in real estate acquisition, development planning and asset repositioning. His advising work also includes mixed-use and resort development throughout the U.S., Central America and the Caribbean. Over the course of his career, Mr. Liff has served as project manager to more than fifty municipal and governmental agencies on initiatives ranging from economic development and neighborhood revitalization to complex financial and partnership structuring. Eric has also worked extensively in transit-oriented development (TOD) planning with a specific emphasis on public/private partnership initiatives. Prior to joining Lambert Advisory, Eric was responsible for acquisition and development at WorldStar Resorts, an entity of Starwood Capital. His core focus there included corporate and asset identification, deal structuring, due diligence and strategic positioning. Prior to WorldStar, Eric served as a Manager in the Real Estate Consulting Group of KPMG Peat Marwick and a Senior Consultant with the Real Estate Consulting Group of Arthur Andersen LLP, Eric was actively involved in acquisition, disposition, and underwriting engagements for firms such as CS First Boston, Morgan Stanley, Prudential, and Heller Financial. Eric earned his Bachelor of Science degree with a concentration in real estate management and development at the University of Southern California. He is a member of the Urban Land Institute (ULI). Todd Peterson has over 9 years of experience in GIS mapping, coordination, analysis, and development. He also has an equivalent amount to time in transportation planning including TDM, transit, bicycle/pedestrian, and trail planning and development. His skills extend from property taxation and real estate analysis to transit planning routing and implementation. He is highly skilled at creating GIS data as well as synthesizing existing GIS data into useful datasets. Todd has worked extensively with both the private sector as well as the public sector in GIS project management roles. As a consultant for both OV Consulting and Urban Trans, two innovative transportation firms, Todd has developed and managed GIS-based maps for planning, transit, TDM studies, and engineering projects. As the executive director of the Clear Creek Coalition for Sustainable Development he organized community support for investment in transit and revitalization of underserved areas. He also provided support to the largest TOD project in Adams County, Colorado in coordination with RTD’s FasTracks. Todd promoted sustainable, livable, attractive, walkable, and mixed-use development by encouraging community and governmental involvement. Todd holds a Masters in Urban and Regional Planning, with an emphasis in Land Use and Transportation Planning from the University of New Orleans and Bachelor of Science in Natural Resource Management from the Colorado State University. Frank Pallini's work encompasses market and financial feasibility analysis (including residential, commercial, hospitality, and marinas), strategic business and economic planning and development, and economic impact analysis. Frank has served as management consultant and business advisor to numerous real estate companies, developers, builders, financial institutions, investors and asset managers as well as units of government and non-profit organizations. Major private sector clients have included Disney Development, USAA Real Estate, GE Capital, US Home, Nationwide and Citicorp Real Estate. Notable public sectors clients have the cities of St. Petersburg, Tampa, Miami, Ft. Lauderdale, Key West, Houston and New Orleans. Frank has served a Project Manager on both public and private sector economic development engagements throughout the United States, as well as Europe, South America and the Caribbean, including but not limited to: Italy, Switzerland, Venezuela, Colombia, St. Martín, St. Thomas, Dominican Republic and Puerto Rico. Frank holds a Masters of Science in Community Development from Southern Illinois University and a Bachelor of Arts from Eckerd College.